Saudi Arabia’s Crown Prince Mohammed bin Salman has said that the Kingdom will invest another $45 billion in the next $100 billion that Softbank plans to launch. The prince said this speaking to Bloomberg in an exclusive interview that took place last Wednesday at a royal compound in Riyadh. 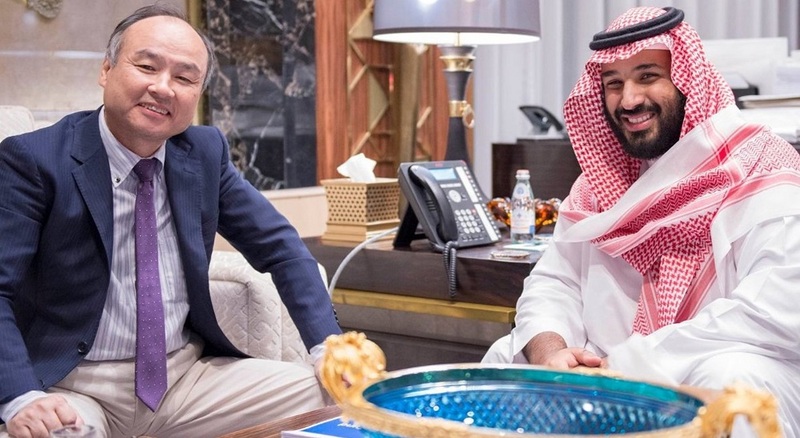 If the deal eventually materializes, it would take Saudi investment in the Softbank Vision Fund (1 & 2) to $90 billion. Saudi Arabia’s Public Investment Fund has invested $45 billion in the first Vision Fund that has been investing crazy amounts of capital in startups all around the world. Last month, Masayoshi Son, the CEO of Softbank, also speaking to Bloomberg in an interview had said that Softbank plans to create a $100 billion fund every two-three years with an aim to spend $50 billion every year. Here is that part of the transcript when Prince Mohammed bin Salman (aka as MbS) talks about Softbank. BLOOMBERG: One of the places you invested in was SoftBank. Will you be a part of the other $100 billion they’re seeking? MBS: Of course. Definitely. We are the creators of SoftBank vision fund. We have 45 percent. Without the PIF, there will be no SoftBank vision fund. Bloomberg: How much of the new $100 billion? Bloomberg: So a total of $90 billion. MBS: That’s right. That means we have a huge benefit from the first one. We would not put, as PIF, another $45 billion if we didn’t see huge income in the first year with the first $45 billion. MBS: Masa once announced the number in the last FII that we did more than 20 percent in the first five months, so you can imagine! Featured image via Financial Times.